Charter a private jet to Sweden, a Scandinavian country in Northern Europe. Air Charter Advisors offers 24 hour private jet charters in Sweden to luxury and executive travelers around the globe. Officially known as the Kingdom of Sweden, it borders Norway to the west and north and Finland to the east, and is connected to Denmark in the southwest by a bridge-tunnel across the Öresund. At around 180,000 sq miles, it’s the third-largest country in the EU by area. Charter the best plane at the best price for your private charter flight to/from Sweden with our around the clock air charter services. Our brokers connect private flyers to a variety of planes for flights within Europe or any destination worldwide. Fly private using ACA’s Sweden jet charter service. Charter a private jet to Sweden, the largest of the Nordic countries, home to a population of around 10 million people. The country borders Norway and Finland, and it’s connected to Denmark by the bridge of Öresund. The Baltic Sea lies to the east, along with the Gulf of Bothnia, separating the country from the majority of Finland. The nation’s total population is 10.2 million, of which 2.4 million carry foreign backgrounds. It has a low population density of 22 inhabitants per square kilometer, with the highest concentrations in the southern regions. Sweden uses a definition based on just 200 people making up to an “urban system”; by contrast, the OECD defines the smallest urban system as 50.000 people. 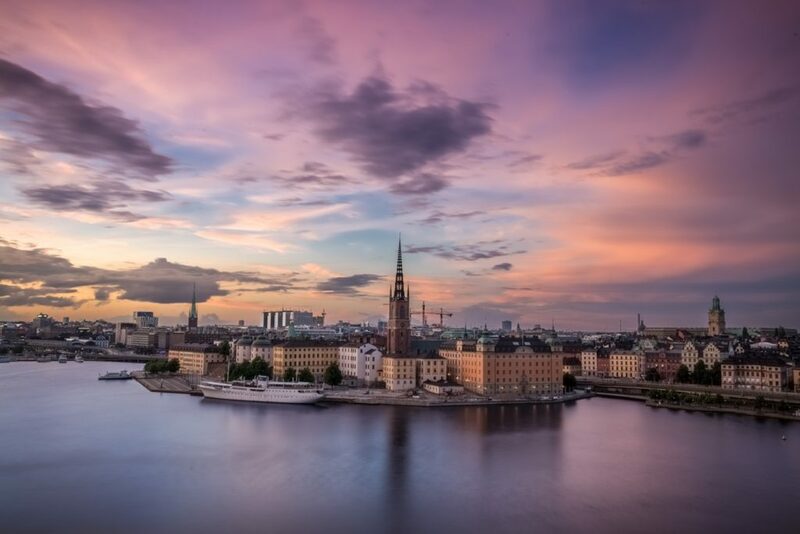 This results in the Swedish stating 85% of the population live in urban areas, but according to the OECD definition, that number is closer to 41 %, making it a very rural country. Sweden joined the European Union in 1995 following the Cold War, but declined NATO and Eurozone membership. It is also a member of the United Nations, the Nordic Council, the Council of Europe, the World Trade Organization, and the aforementioned Organisation for Economic Co-operation and Development (OECD). Swedes maintain a Nordic social welfare system, providing universal health care, and tertiary education for its citizens. It has the 11th highest per capita income in the world, and ranks highly in a number of metrics, including quality of life, health, education, protection of civil liberties, economic competitiveness, equality, prosperity and human development. Check it out for yourself with ACA private jet charter services in the following destinations. Request a Quote or give us a call at 1-888-987-5387 to speak with one of our private jet charter brokers for your next luxury vacation, business trip, or special event in Sweden.